Last month TIPM took a close look at extracts from a thirty page Memorandum of Law in support of certification for a class action filed in the in the Southern District Court of New York in February by law firm Giskan Solotaroff Anderson & Stewart (GSAS) against Author Solutions Inc. GSAS is representing three authors in this lawsuit and alleges that Author Solutions Inc. (ASI) operates deceptive practices to lure authors into paying for expensive publishing services. He what is claimed in the suit (via the GSAS website). Since February GSAS has filed a second claim for a class action lawsuit — this time in the state of Indiana and on behalf of two more authors. 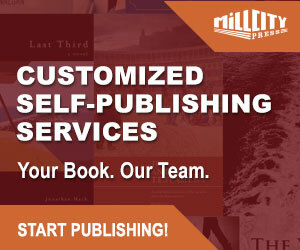 Like the first lawsuit, the authors purchased self-publishing services from imprints owned and operated by ASI — AuthorHouse and iUniverse. 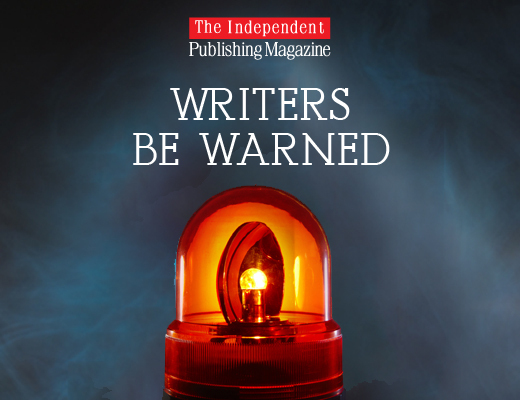 You can read a little more here on the recent Indiana class action lawsuit taken on behalf of authors Patricia H. Wheeler and Helen Heightsman Gordon. 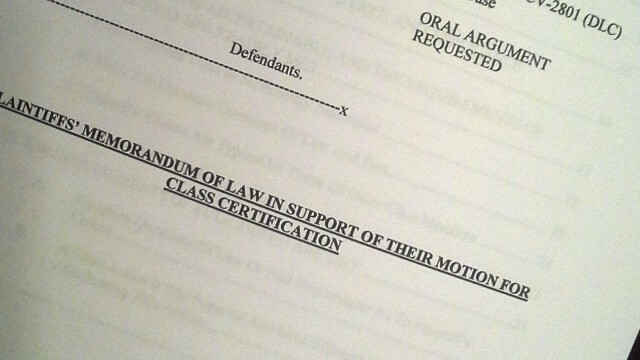 In the first part of The Case Against Author Solutions we examined GSAS’s Motion for Class Certification where the basis of the case is explained. In this court document GSAS outlines how it believes ASI presents itself to prospective authors and the deceptive manner in which it operates. 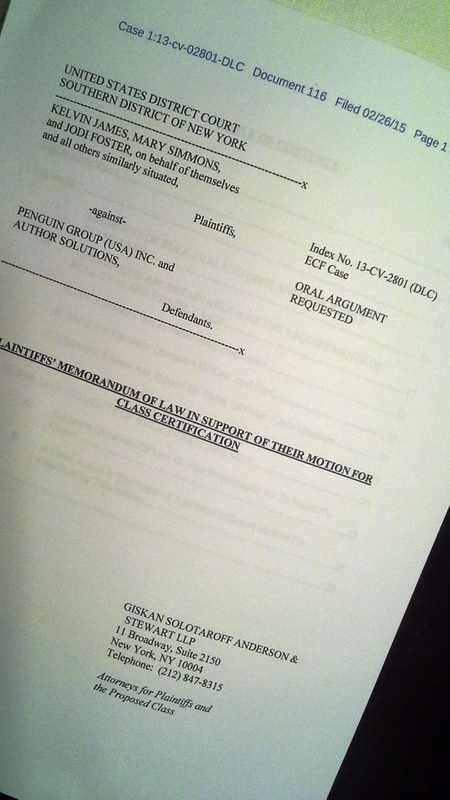 For the second part of The Case Against Author Solutions we are going to take a close look at the second document GSAS filed as part of this case — the substantive depositions file. Depositions are the out-of-court oral testimony of a witness and transcribed to written form for later use in court or for discovery purposes. What is contained in these depositions is certainly an eye-opener. Before we begin, I want to stress that what is presented below comes from documents lodged with the Southern District Court of New York. This suit is currently under review by Judge Denise Cote and she has yet to certify the claim as a class action lawsuit. Any allegations made by GSAS and the authors it represents have not yet been ruled upon. The depositions file is extensive, runs to over 400 pages, and includes 25 ‘exhibits.’ However, not all of the deposition exhibits have been publicly released. The deposition file available runs to 188 of the overall 400+ total pages. Hang in there, this is a very long and extensive post but well worth exploring. (Mr. Giskan is questioning William Becher about ASI’s policy on book store returns for print books. If a book store returns a book to the printer, to Author Solutions, does Author Solutions pay any money to that book store? I do not know the mechanics of how the money flows in that situation. Do you know any of the mechanics of how the money flows? I do know that we are effectively out the cost of printing the book. Are you out any other cost if a book is returned? The amount of the royalty the author would receive is not recouped. Let me see if I understand that one. If a book store buys a book, then the author receives the royalty at the time of the purchase? If the book store is actually the one that is purchasing the book, yes. Are you aware if any book store has ever returned an Author Solutions book? I know that they have, but I can’t name any specific instances. Do you have any sense of the volume of returns? Who would have that information? Sales is the, when you look at core international and partnership, that point in time partnerships was the fastest part of our business. Number four reads, “Explore the possibility of reducing the number of packages with editorial assessment. In order to speed a title through the process from manuscript sold until title live, a significant component of how quickly it moves check-in coordinators working with — we had to entice authors to submit material, so we could get started with their book. So submission miners were a sub set of the check-in coordination group, whose specific responsibility was to reach out to authors who had been languishing. That is authors who had purchased but had not given us anything so we could get started. And their job was, let’s get some material from the authors, so we could get started. That is what a submission miner’s role was. Okay. You testified that in preparation for today you reviewed training manuals. Did you see that instruction in those training manuals? I didn’t read them verbatim. You don’t recall seeing that, do you? Have you ever trained any salespeople? Okay. When you trained them, did you use documents? We used mostly the website. How did you use the website in your training? Would look at the different products and packages and explain those to the rep and what they’re designed to do. Okay. Do marketing consultants have any marketing experience? Specifically, I would not know per rep.
Was any experience in the publishing industry required for marketing? So how were the marketing consultants able to consult with authors on marketing services? Through training. Did you have any experience in the publishing world when you were doing the training? By increasing your book’s exposure to subscribed book lovers and reading enthusiasts across the world, you can vastly increase book sales and awareness about your published work. Is it your understanding that the opt-in e-mail marketing campaign would vastly increase book sales? I would have no idea what the results of this campaign would be. The vice-president of marketing or senior vice-president of marketing. We don’t really track sales to campaigns. You don’t really track sales to campaigns? You don’t at all, correct? If they [authors] had purchased a service, would they be reassigned more quickly or less quickly? That’s part of the lead management protocol. I don’t know the number of months it would take. When you say lead management, once an author has published with Author Solutions, do you still use the terminology lead management? And how does it work after the author is published, what does it indicate? There are certain rules where a lead moves from a publishing consultant to a marketing consultant, or an editorial consultant, then to a book consultant. Is the term lead used interchangeably with author? So a lead is someone that you could sell services to? Are marketing consultants prohibited from telling authors that they have read the book? Unless they have, in fact, read the book. How is that communicated to the marketing consultants? It’s in the training manual? Well, you renewed some training manuals in preparation. Did you see them in there? I did not see it in there. Do you recall ever seeing it in a training manual? Does iUniverse try to sell marketing services to an author who received a poor editorial evaluation? It would depend on what the author’s goals are. Well, a bad review in no way prohibits a book’s success. Have you ever — by you, has Author Solutions ever looked at the sales of books that have received poor evaluations? Do other imprints have something like an editorial evaluation? I believe some have an editorial assessment. Do those other imprints have editorial services? There’s only four individuals, and they report to Keith Ogorek. There’s a director — or a director, and then there’s our editor, Bronic, and then there’s two coordinators or administrators. They’re the ones that actually make the assignments. Do they only handle Book-to-Screen services? No, they handle all the video services as well. Are these all full-time employees? Do you have an address of the office? Are all authors offered these Book-to-Screen services? It’s on the website, the imprints that offer it. Do you assess the quality of the book before fulfilling the service? Are you familiar with the book sales return program? That is a program where we actually market a book as returnable so that if a bookstore stocks our book, they can send it back to us and we cover the cost. They’re — the bookstores themselves are not stuck with the cost of books on their shelves that don’t sell. Is this offered to every author? Not every author because I think it only applies in the United States. Every author who is in the United States? Every author who is in the United States whose imprint has this service. In other words, there’s no qualification about — there’s no — the manuscript doesn’t have to be of a certain quality to be able to purchase this service? Who is the most senior individual of these five? Does she have other responsibilities at Author Solutions? Yes. Well, she’s in charge of all of the events. Okay. Does that mean she attends all of the events? Are these five individuals in your department? Are you familiar with the Newsmaker Publicity Campaign? A six-week campaign that is fulfilled through our vendor, Bohlsen. Through our joint venture with our vendor, Bohlsen, I should say. What is the six-week campaign? Six-week campaign involves putting together strategy for the book. Writing a press release, doing a calendar, and doing outreach to the media, per the strategy. Is this service offered to every author? Every author within an imprint that has that service. Why would an author purchase a book marketing kit? It gives them materials that they can actually take when they do their own marketing, when they do their own outreach. Is there a content component to the book marketing kit? Is there content about the book? The author. It’s directly pulled from the author’s description. Where does that author give that description? In their author center. In their author account. What is author website setup? A service where we take the book cover and, again, the synopsis of the book, and create a website, a four-page website for the author. Is there a team involved in the author website setup service? A writer and a web designer. Where are these individuals based? Could be either Bloomington or Cebu. Is there criteria for whether an author would be given a writer, a team, in Bloomington versus Cebu? For web design, no, it’s all based on capacity. Does anybody on this team read the book? Is the service offered to every author? And the press releases, who does those? Where are those writers based? How many staff members do you have to fulfill this service? Is it the same who did the author website setups? So nine are in Cebu, and six are in Indiana? Is every author offered a press release? With their imprint that offers press releases, yes. Have you ever heard from any of your writers that the book was of very poor quality that they were given to write a press release about? Does Author Solutions do anything in those instances? How much is the press release service? Again, there are several different types. So a range of $400 to $1,400. What types of questions are on the questionnaire for the press release? Why does target audience matter? We need to know who the author is trying to make the information available to, whether — you wouldn’t necessarily, for a cooking book, go after, you know, high schoolers. So target audience is going to make a difference. What other types of questions are in the questionnaire? Author biographical questionnaires or questions. Are author goals a part of the questionnaire? Do your marketing service representatives know which services are most effective for the goal of selling books? No, because it’s not one of the goals of our marketing services. You also said that they’re the same? But there are an additional 15 web designers? Where are those 15 web designers? What do the web designers do in relation to the service? What do the writers do? Write the copy that’s going to be included in that HTML code, the book offering the description. Is there an editing process for the writer? So, in other words, the content that goes in the press release, in the e-mail, how does it get there? The writers would write the copy and send it to the designers. The designers drop it into the e-mail. Who edits the writer’s writing? How much does the service cost Author Solutions? Have any — does anyone in this pool of web designers and writers read the book? Does Thrive Marketing give you a sense of who these recipients are? What is the value of this service to authors? Awareness of their book to potential book readers. Are there any metrics that Author Solutions is given to see whether somebody has opened the e-mail or clicked on the link? Yes. Authors are actually sent a month into the — after it’s launched, a month later, they’re sent a click and open report. Are they given any other information? Is there any information that might be relevant to the author? No. Since it’s an awareness campaign, no. My definition of marketing overall, or in regards to Author Solutions? In regards to Author Solutions. We are trying to provide authors with the best quality services we can in their position for them to be able to market their book. I mean, it would be unrealistic for us to think that we could market our author’s books. Assisted self-publishing is marketing — assisted marketing. What does that mean, it’s assisted marketing? We’re giving them the tools to do it on their own. Author marketing is a term used to define those services that the author uses after the book is published. The services we’ve discussed today, press release, web design, book marketing kit. We’ll just call them book signing events; is that okay? Okay, we’ll call it that. So my question was: Which authors did you market that service to? 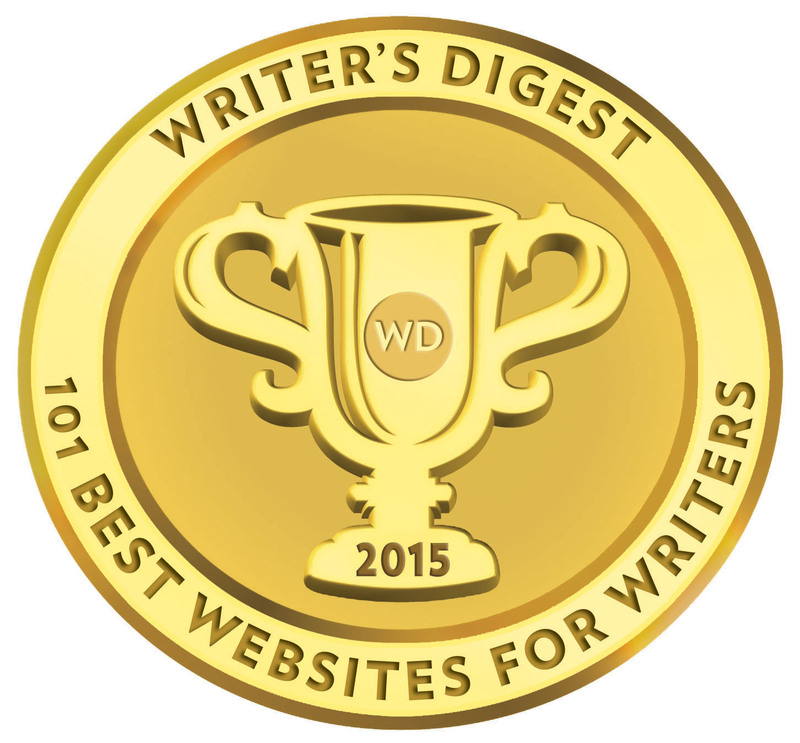 We made the opportunity available to any author who would want to take advantage of it. How did you go about making authors aware of the service? It first is posted on the website. So any author looking at the website could see it. Depending on the imprint, depending on the event, we also might do a promotional e-mail from the marketing department announcing the event. And would that promotional e-mail be sent to all authors? My question was how do you know in those two scenarios that those authors were not interested in selling books? They never spoke about the goal being to sell books at those events, because I think we limited our discussion here to those events. Have you ever done any sort of analysis of whether authors who participated in the book signings at events were able to as a result of those events sell books? Have you ever looked at the subsequent sales for authors who attended those events? The next one you mentioned was book galleries. What are book galleries? Book galleries are where a book is put on display at an event. It does not require the author to attend. And there’s a catalog made available for anyone who would go in the book gallery to then know how to order the book if they were so interested in ordering the book. Who did you offer that service to? We make it usually known to any author who would want to take advantage of the opportunity. Well, how do you determine whether the author would want to take advantage of the opportunity? Well, we would make — we would communicate it, as I said previously, on the website or perhaps through a promotional e-mail. So if I understand this service, you would have a booth at a show? And you would display the books of people who purchased this service as opposed to the books of other authors? Correct. And we’d provide a catalog for people who come through the gallery to know how to order the books. Did you just — give me some examples of places you had book galleries. The Miami Book Fair; Los Angeles Times Book Fair; Women of Faith writers conferences; I Can Do It, which are Hay House conferences. Were any of those books purchased at the Miami Book Fair? Did you do anything to determine whether any sales resulted from the book gallery at that show that you attended? Did you do anything to determine if any sales resulted from any book gallery at any show? It would be impossible to tell that. Well, it might be impossible to tell all the sales, but is it impossible to tell any of the sales? Yes, because someone could see a book at a gallery. We could look at channel book sales, but that’s just one small part of how authors have opportunities to sell books. Have you ever looked at the channel sales for books that were displayed in book galleries? You mentioned video services as the next one on the list. What are the video services? There are services that include interviewing an author at his or her location to help — to give them the opportunity to speak about their book. And then there are what are commonly known as book trailers that would involve music and images and a call to action to let people know where the book could be purchased. Sometimes there’s voiceover included as well. Are the video services marketed to all the authors? Have you ever attempted to measure the book sales of authors who purchased the video services? — sold by Author Solutions. You mentioned that the terms of the services were on the website or various websites; is that correct? Descriptions of the services are on websites, correct. Fair enough. Could an author purchase the service on the website? If there is a shopping cart on that website. I’m guessing that certain websites didn’t have shopping carts? Which did and which didn’t? Did most of them have shopping carts? I would say most probably do. Okay. Other than the websites with shopping carts, where — how else could an author purchase the service? By speaking with a marketing consultant, or in some cases, maybe a publishing consultant, depending on the service. When a marketing consultant or in some cases a publishing consultant is speaking to an author about a particular service, were you involved in any way in creating the materials that that marketing consultant or publishing consultant uses to sell the service to describe the service, things of that nature? For some services, there are what we would call template e-mails that they are supposed to use. But in most cases, they are supposed to point people to the website. How do you determine what price to charge on what imprint? We follow the model, but in addition we pay a royalty to the partners. And so we build that into our margin as well too. Is that the only factor? So the PitchFest price for Xlibris and iUniverse and AuthorHouse was the same? Does the price for a service ever vary across the core imprints; Xlibris, iUniverse, Trafford, and AuthorHouse? Not to my recollection have we ever done that, yes. And the increased price that you charge on the partner imprints is solely to cover the cost of the payment to the partner? Does Author Solutions track sales of books in their retail channel? Is that something you could compare to the amount spent on services? Are you aware of anyone at Author Solutions ever having done that? Do you personally talk to Author Solutions authors? Have you discussed with them how many books they’ve sold? Can you be more specific in that question? I’m not sure I could be. I’m not sure anyone could be. They tell me all the different ways that they sell books. Have any of them ever expressed to you that they purchase services in the expectation that they would sell more books? You’ve never heard that from an author? Have you heard it indirectly? Do you have a sense of how many Author Solutions authors sell enough books to break even on the services they purchased? Are you aware of any analysis like that? Is there a department at Author Solutions designated to increase book sales in the channel? Not specifically that I’m aware of. Do you know anybody at Author Solutions that works towards that goal? 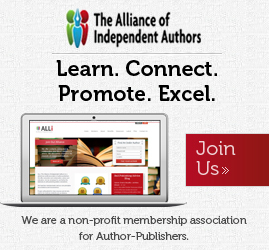 Do you know what percentage of Author Solutions’ revenues is derived from new authors? [Mr. Giskan:] We are going to mark this as Exhibit Ogorek 6. It is a long document bearing that the — the metadata was appropriate for Barnes & Noble to be able to order the books. That’s I believe what she means by “retail prep.” And then the Barnes & Noble boutique, one of the unique benefits that only Rising Star authors have is there’s a unique collection page on the Barnes & Noble website designated for Rising Star. And there was a way that they requested that we provided the information to them so that they could update their website with our books. [Mr. Giskan:] Was Barnes & Noble pleased with the books that iUniverse provided it? I never asked them if they were pleased or not pleased. They were — they continued the program. Is the program still in place? Have you looked at the sales of books on Barnes & Noble website, the Rising Star sales? Would that be something useful to know in marketing the Rising Star program to authors? — writes, “Salespeople brag about pushing customers to overextend themselves, promising them the world, laughing about how they’ll probably only sell a dozen copies.” Is there any truth to that? Again, I do not have any responsibility to sales, so I’ve not heard anyone doing that. Does that comment ring true to you? Angry at ASI goes on and writes, “Authors are regularly ridiculed for how bad the cover/content can be.” Have you ever heard of that happening at Author Solutions? Were you ever present when a cover or content was ridiculed by a employee at Author Solutions? Angry at ASI continues, “Keith Ogorek has a shelf of the worst books in his office that he laughs bout.” Do you have such a shelf of books? I have a shelf of books in my office that has all kinds of books on there. Was there any point in time where you would keep a collection of the worst books? I have books as examples that I use for inspiration for writing my blog, for talks I give. And so I do have a shelf of books that are not the best covers, and I also have on that same shelf books that are very, very good covers, all done by us. — the posting was made? Did Author Solutions have any problems with its royalty system in or about May 2012? There were some issues related to the royalties system, even on selective authors. There were some selective authors that we needed to make some payments to. But the characterization of “meltdown” I think is incorrect. I’ve four more detailed depositions to work through for the third and final part of The Case Against Author Solutions. I remind readers of this post that you have been reading — for the most part — the words of staff at Author Solutions, presented as part of the plaintiffs’ case in this claim for class action certification. We have not heard the counter defense from Author Solutions. Judge Denise Cote must now rule on the certification and designate a court date later this year. In the final part of this series of posts, I will present extracts from ASI’s CEO, Keith Weiss, Joel Pierson (Editorial Service Manager), and the authors in this lawsuit. I will also conclude the next post with my own thoughts on all of this. The website Author House instructed me to put up but did not help me with is no longer viable. Can I get on your class action list of people? Perhaps I am, as I did call you once. Please let me know. I would love to be a part of the law suit ! Authorhouse published Amazing Debi my secret before and after brain surgery for Epilepsy.They have made a lot of money from me and I received hardly nothing.I just left a lawyers office .He asked if there was a class action going on! I want my copy right back ! I fired them a year ago but they still are making money off of my book!